Cleary Millwork’s Marketing Department will work with our dealers in providing showroom displays & graphics, print ads, statement stuffers, brochures, sell sheets, banners and so much more. Everything we do is customized to the needs of our customers. 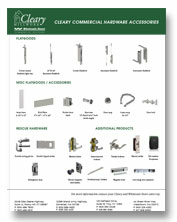 Contact your Cleary Millwork Sales Representative to discuss your marketing needs or email marketing@clearymillwork.com. Cleary Millwork provide its customers with a co-op allowance based on ½% (half percent) of their previous year sales. Previous year sales are based on the calendar year January – December. Co-op is at 50% of the total cost. Dealer submits a copy of the paid invoice, Cleary co-op form and appropriate documentation (photos, samples, tear sheets, etc.) to receive 50% credit. See attached co-op policy and submission form for complete details. Atlantech 370 Series Patio Doors come with panels and screens installed, standard white handle (no key lock) and mix & match handings for a total of 8 units. The 4-1/2″ top rail and side stiles with a 6-1/2″ bottom rail gives you the look of a true french door with the practicality of a slider. Atlantech Patio Doors are available in one lite, 15 lite GBG, and integrated blinds. 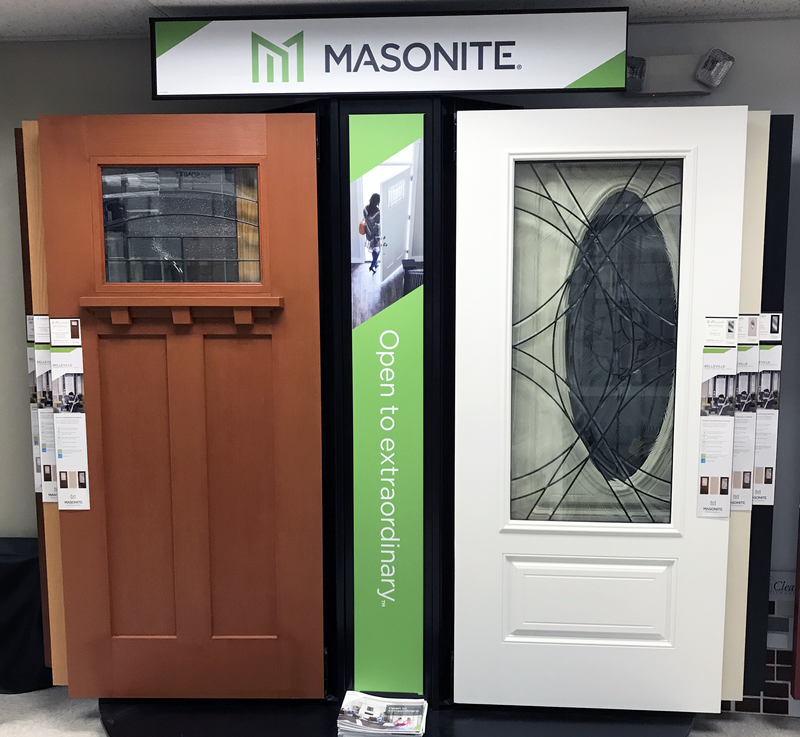 For assets pertaining to Masonite, please request a login to Masonite MConnect by emailing marketing@clearymillwork.com. For images please email us for high res files for your print advertising needs. For web use, the images below are sufficient quality. Simply click on the images below to download to your hard drive. Print ads and posters customized for your showroom or trade show are available for all products sold by Cleary. Please see our examples of print ads, showroom graphics and trade show signage below. Tell us what you’re looking to promote and we’ll produce them for you. Please contact us to discuss your marketing needs by emailing marketing@clearymillwork.com.